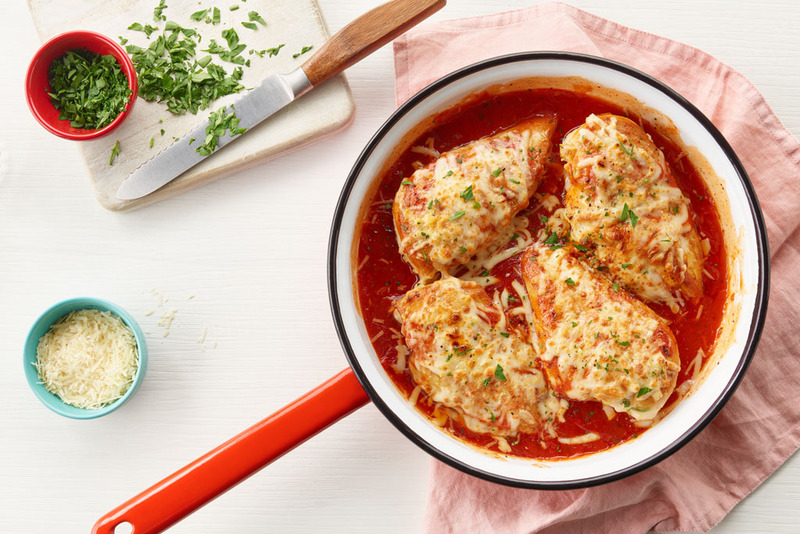 This weeknight skillet chicken Parmesan tops chicken breasts with a sweet tomato sauce and melted mozzarella cheese for a quick and delicious meal. Heat broiler to high. In a large, ovenproof non-stick skillet, heat oil over medium-high heat. Season chicken all over with salt and pepper to taste. Cook chicken for 3-5 minutes per side or until golden brown; transfer to a plate. 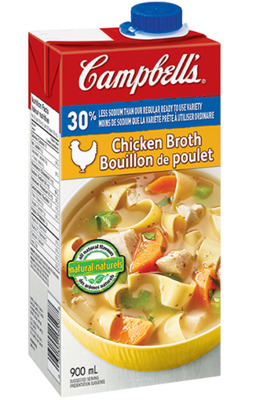 Stir soup and broth into the same skillet; bring to a simmer. Return chicken to skillet and cover with sauce. Reduce heat to medium, cover and cook for 6-8 minutes or until chicken is cooked through. Toss mozzarella cheese with Parmesan cheese; sprinkle over chicken. Broil for 2-3 minutes or until cheese is melted and golden. Sprinkle with fresh parsley just before serving. Serve over cooked pasta or creamy polenta with a Caesar salad on the side. For a quick weeknight tip, skip the broiler and simply cover the skillet for 2-3 minutes until the cheese has melted. Looking to make the ultimate comfort food? Try topping this dish with marinara sauce, a meaty spaghetti sauce, or a generous heaping of bread crumbs. Followed as written, except only used thin cheddar slices, instead of mozza & parm. I also served over white rice. My family devoured it and asked for more. Delicious! I'm a vegetarian so I made this recipe for my husband. I followed the directions exactly as written, only thing different I did was I added minced garlic in the sauce, and my husband loved this recipe! I would definitely make this again! Great and easy to make. Delicious! 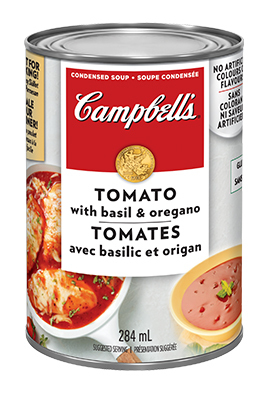 If you like more tomatoes add a small can of chopped stewed tomatoes and step up the parmesan aswell.